In a Twitter style interview, Sarah Mason is challenged to answer my questions in under 140 characters. I discover why she chose to study at Bournemouth University, her career prospects and who she will be supporting at tonight’s BRIT Awards…. Why did you choose to read BA Communication and Media at Bournemouth University? I wanted to study something media related and BU’s Media school has such a good reputation. And what exactly is your course? My course covers a range of media practices such as journalism, pr and marketing. Over the three years you can focus it to the area that interests you. What career are you looking to pursue after graduating then? I’m interested in writing and have just started a blog. So possibly a career in journalism or publishing. On your blog you have a link to your twitter account. Who are you following? Yes, I’ve only just signed up to Twitter but so far I’m following BBC News, NME and Q Magazine. 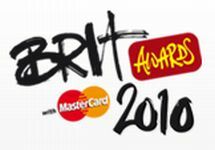 Oh, so if you are interested in music I bet you are looking forward to the BRIT Awards tonight? I am so looking forward to seeing British talent recognised by the music industry. Although, I do get annoyed that only the big names win awards and small bands are looked over. Who will you be supporting? Florence and The Machine! I love her album as she has a genuinely good voice. She’s nominated for 3 awards. Also, Muse ‘coz I’m going to see them this year. So, possibly a career writing for music magazines? Maybe. I do always have an opinion whether it’s the right one or not!